One of my favorite breakfast treats is a slice of banana nut bread. I love it with a dab of butter and a big glass of chocolate milk. 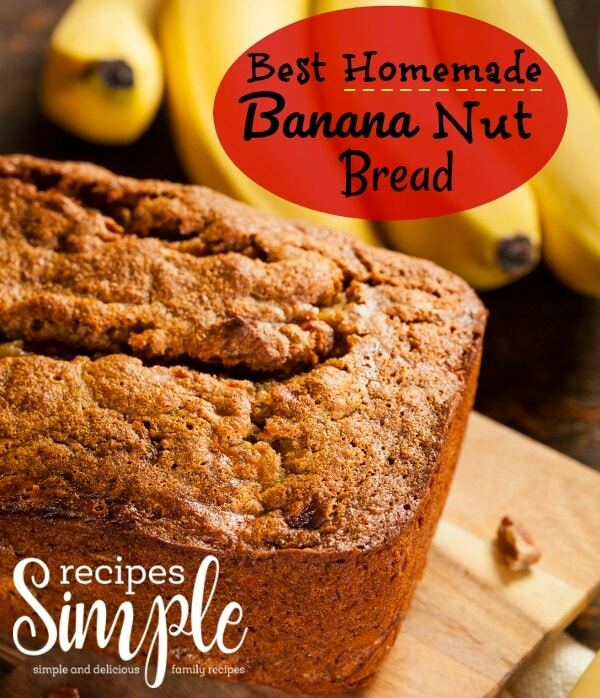 This banana bread recipe is very moist and delicious. It’s so easy to make! Butter a 4×8-inch loaf pan. Mash the ripe bananas with a fork in a mixing bowl, until completely smooth. Add the the baking soda and pinch of salt. Gradually stir in the sugar, beaten egg, cinnamon and vanilla extract then mix in the flour. Pour the batter into your buttered loaf pan.